High & I seek infinite oceans​,​ infinite hues of your love, so purple deep. 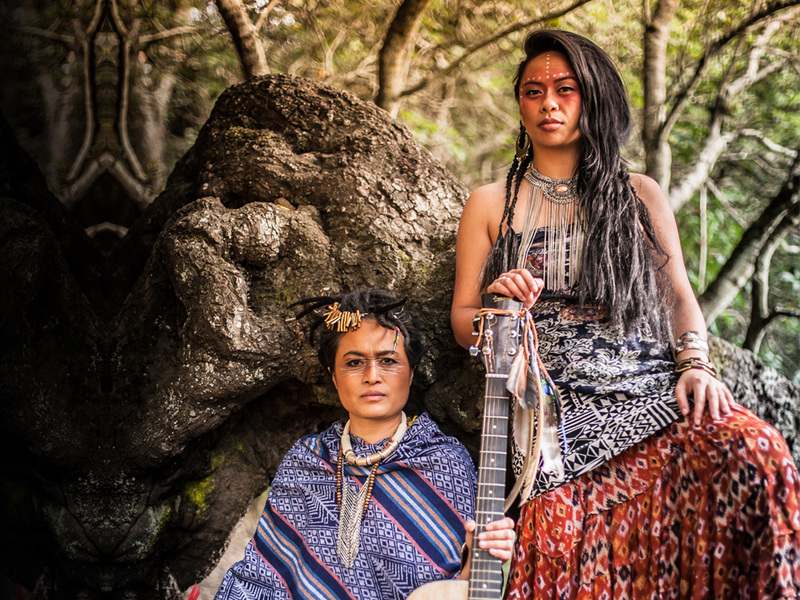 AstraLogik is Charito Soriano and Rowena 'FunkCH3N' Conlu, an Ambient Eclectic Soul duo from the Bay Area in California. This duo expresses their art through a multitude of genres that creates a timeless journey & promotes love to the world. Their eclectic taste in music includes tinges of neo-soul, reggae, r&b, island, hip-hop, electronic, world, and indie. The band performed and shared the stage with acts such as Tribal Theory, Inna Vision, Charice Pempenco, Bochan, Pacific Soul Band, Feelosophy, Aisha Fukushima, Dirty Boots, Power Struggle, Mass Bass, and many more. They have performed in many venues all over California and community organizations and are spreading their intentions of patience, compassion, struggle, growth, peace, and love through the vibrations of music. With their involvement with non-profit communities, the duo had closely collaborated with non-profits such as Soulciety.org and have volunteered with their overseas program called 'The Bridge'. Through the program they both mentored youth, provided music education, help lead the dental hygiene program for elementary schools, provided over 100 computers to low-income neighborhoods, helped rebuild schools from the 2013 earthquake in Bohol, and provided countless other resources to children living in poverty throughout the rural areas in the Philippines. Coming back from the Philippines created a spark in their movement that launched their first official recording project rooted in using music as a tool for positive change. In April 2015, they released their first EP, "Dream Awake", an album about Love for the Self, for your significant lovers, for your land, for your community, love for your presence, and existence. They are currently working on a 3-song EP a collaborative project with DJ/producer Anoctave that will be released by the end of Summer 2015.